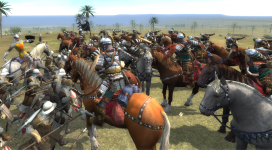 Tsardoms: Total War is a total modification for M2TW Kingdoms set in late middle ages, featuring a campaign centered on Italy, Balkans and Asia Minor. The reason we decided to make a mod like this is, firstly because we are familiar with the history of the region, and secondly (and most importantly) because this part of the world has pretty much been ignored by TW games and mods and we thought it would be fun to play and learn from it. The modification will begin in the 4th semester (in September) of the year 1345AD and it will conclude in the year 1530. The reason we decided on this timeframe is because we wanted to make a mod about the fall of the Roman Empire and the subsequent struggle of the neigbouring factions for her legacy, so this timeframe fits perfectly. The game will begin with the Roman Empire devided into two rival factions - the "House of Kantakouzenoi" and the "Imperial Regency of the Roman Empire" - which will struggle for the guardianship of the heir to the throne - John V Palaiologos. At the same time, the Regency is allied with the Bulgarian Empire and the Kingdom of Serbia, whοse King (and wannabe Emperor) - Stefan Uros IV Dusan - is besieging the city of Serrhai which, by capturing it, will allow him to be crowned "Tsar of Serbians and Greeks". On the opposing side, the Turkish beyliks of Asia Minor, namely the Ottomans and the Emir of Aydin, have taken the side of John Kantakouzenos and have already joined the fight for their own interests, harassing the eastern parts of the Empire. In the North, the principallities of Wallachia and Moldova are trying to defend themselves against Hungary and Bulgaria and they are also looking to expand their teritorries after the withdrawal of the Tatars. In the Meditteranean and the Aegean Sea the two maritime Republics - Genoa and Venice - are competing and attacking each other for the control of the profitable trade routes from the Middle East and the Black Sea. This is certainly the time for Total War!! Is the faction list final? Faction list is not set in stone, but we are very disinclined to change anything for now. Are all factions getting equal attention? Yes, of course. We are very proud of the fact that we are including some factions that have never been in a TW mod. We really want to give the community an opportunity to try them out. you can see also a preview of how the map will look like here. The game is NOT released yet. For further information about the progess, check the equivalent "stickied" thread in the modification's sub-forum. 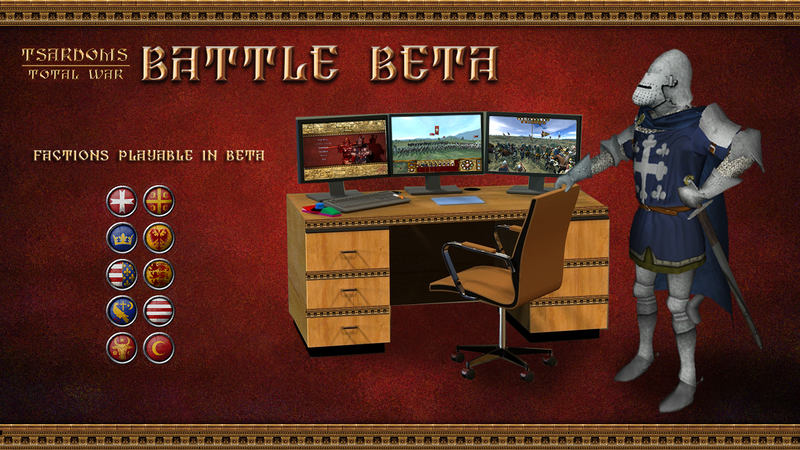 After 8 years of development the team of Tsardoms Total War is proudly presenting the Battle Beta. This is a battle only mod to give all the fans a taste of what is to come when we release the full mod. The beta includes factions which have been painstakingly modeled to recreate the historical reality of the period 1345 to 1530. Many of the units have been made and remade several times by several of our members. We have tried to stay as close to historical reality as possible within game limitations and also gameplay considerations. Huge amounts of time and research have gone into creating the units, factions, unit descriptions and faction descriptions. We would like our mod to be used as a reference for the time period and be a fully playable historical simulation. That being said we are always open to criticism and will endeavour to fix any inaccuracies or any issues raised. The battle beta does not include any artillery units and also none of the finished Italian, Austrian and other factions which are still in development and will be saved for a final release. We know the mod does have some stability issues with certain factions especially the Ottomans and the Ragusans and also with certain maps. If you experience crashes please upload the mod's log so we can track down the issue. Also, if you find any bugs, errors or inconsistencies please let us know aswell. Since the mod has been going on for over 8 years there is likely we have forgotten someone or some mod please do not hesitate to let us know if you believe credit should be given! We are humans and so many members have come and gone it is difficult to keep track. We have a fairly open policy in regards to permission to use materials. First and foremost we will give permission to use our materials to any mod team that has given us help or that have given us their materials. After that we are happy to trade our units and materials to anyone that will be happy to share their materials with us. If your mod has nothing we need we can still give permission to use the materials. Historical mods will get permission first and only later we will give permission to fantasy mods as we would like to encourage the creation of historical simulations first and foremost. We will deny permission to use materials if we believe your mod is either purposefully not historical or has other issues. Also, permission to use, modify or take parts of our units is given on a faction by faction basis depending on the original creator. Also, some factions or units (such as the Magyar infantry units) come from other mods and as such permission is not ours to give and you must contact the original creators. Please ask Wallachian for permission to use and he will confirm whether it is given or not. If you are interested in modding and would like to join an ever-growing team of talented modders we will welcome you with open arms! 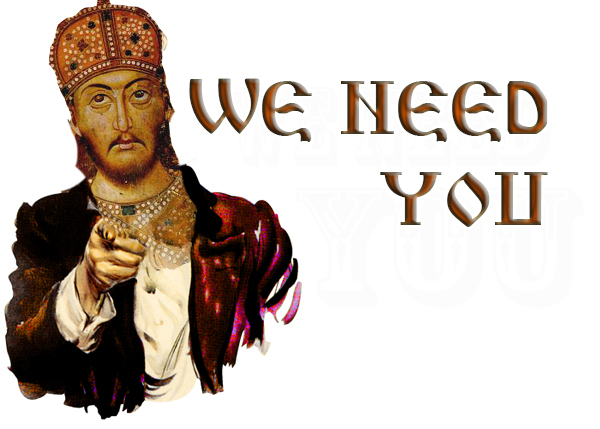 If you are into the Balkans, the rise of the Ottomans, the Italian wars, high medieval and renaissance history, if you have skinning, modelling, coding or scripting skills or even if you have just 2D skils or are a historian and are interested in joining contact any of our members or post on our forum. We are getting closer and closer to a full release but we are desperately in need of manpower to finish the Austrian, Italian, Spanish and Swiss factions. We are even considering introducing an emerging Croatian faction. But we can only do that if we get more people in the team. We are very passionate about this project and will see it to fruition but the more people there are the quicker it will be. The more of us there are in our team the greater the progress will be! Tsardoms proudly presents a comprehensive preview of the Republic of Venice, one of the many Italian factions in the mod. Tsardoms Total War teaser of shields of the Papal States units. The Wallachians and Moldavians were famous for their attrition and guerrila tactics as well as exploiting the marshy land to their advantage. Will they have these capabilities expanded? can we have a newer version ... please? When will there be release date for the campaign?